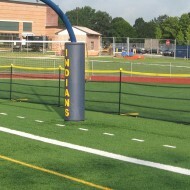 Portable fencing that can be used on synthetic turf, asphalt, concrete and natural turf! 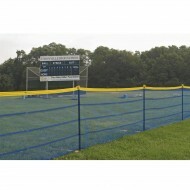 Above-Ground Grand Slam Fencing features unique weighted bases that keep your fence upright and in place, thereby eliminating the tedious need to drill or dig holes for in-ground outfield fencing. No holes required!